Our Twitter feed is currently unavailable but you can visit our official twitter page @theshowtour. The Show R&B Superstars hits the road as it temporarily leaves its home, Wembley Arena for only the second time after 3 mega shows. The Show travels south to London’s Indigo2 to bring its unique blend of Live Music; Comedy & Surprises at a price that’s right as it presents R&B Superstars Donell Jones & Kelly Price live in concert!! Donell Jones, an R&B legend in his own right and architect of numerous classic R&B platinum albums, returns to London after his sensational performance at The Show R&B Superstars in November 2013 @ Wembley Arena. Kelly Price, an R&B princess who has performed with the very best and has classic R&B albums to her credit and is also a star of the US smash TV hit R&B Divas, also returns to London after stealing the show with a sweet but spectacular performance at The Show R&B Superstars in November 2013 @ Wembley Arena. Both artists will be performing longer sets (than in November) that will include all of their biggest hits and more. Whether you missed them both in November or not this is a show you don’t want to miss. Two of R&B’s biggest stars performing back to back at one of London’s most popular live music venues, get your tickets now. The Show R&B Superstars hits the road as it temporarily leaves its home, Wembley Arena for the first time after 3 mega shows. The Show travels north to Manchester to bring its unique blend of Live Music, Comedy & Surprises at a price that’s right as it presents R&B Super group TGT!! Veteran R&B Singers Tyrese, Ginuwine & Tank will be performing together for the very first time as TGT in the UK bringing their very own brand of ‘bedroom music’ from their chart topping and critically acclaimed debut album “Three Kings”! Individually they each have been known to bring it0… just ask anyone who attended The Show R&B Superstars 2 how good Ginuwine’s performance was. Expect special guests, expect to laugh with Eddie Kaddi’s hilarious brand of comedy and expect the highest quality of DJing from Rampage & Frisky DJ! Be prepared to be entertained!!!! The Show R&B Superstars – Valentines Special at London’s Wembley Arena on Saturday 15th February. Me’. Other hits include ‘Lose Control’. Kut Klose – US R&B trio who hit the charts with Keith Sweat in ‘Get Up On It’ and ‘Twisted’. PLUS further special guests to be announced! Kelly Price, Faith Evans, Mario, Ginuwine, Sisqo, Jodeci and SWV. legends and guaranteed list of hits. 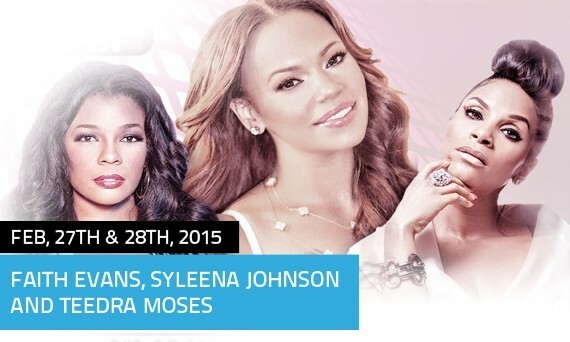 The Show: R&B Superstars “Valentine’s Special” – if you LOVE soul, you gotta go. Wow, simply wow, now how was that for a show? Another packed out arena, and another amazing night had by all! R&B legends Faith Evans, Kelly Price, Ginuwine, Dave Hollister, Donell Jones, Mario, Sisqo, Bobby V, Adina Howard, and J. Holiday, took the Wembley faithful down memory lane with a night of smooth and soulful vibes. With such a star studded line up in attendance its difficult to pick out just the one highlight; was it Ginuwine’s sexually charged performance, Sisqo’s slick dance routines, Kelly Price’s AMAZING voice, Rough Copy’s impromptu appearance, or one of the countless others we bore witness to? One thing is for certain, it was an action packed and highly entertaining evening, one that many are describing as the R&B event of the year, it certainly had Leona Lewis up on her feet the whole night! If you missed this one, don’t worry, we will be back next year on February 15th for our Valentines special with yet another stellar line up. On this spectacular night at the legendary Wembley Arena, we spoilt 11,000 lucky people to an evening of amazing music by some of the biggest R&B groups of the 1990’s! Eddie Kadi threw in some hilarious comedy segments, whilst Frisky DJ on the decks set the tone with the party atmosphere. Who knew that you could get an arena full of people performing the Electric Slide simultaneously! Over the course of a five hour period, we took people back to an era that defined a generation. This is an era that paved the way for many of the stars you hear today, and who will no doubt be major influences for many more over the years to come. Blackstreet, Jodeci, SWV, Dru Hill, Changing Faces and Damage all reminded us why the 90’s were a truly special decade to be a part of. If you weren’t there then you missed out big time, but check out some of the images we have in the gallery and be sure not to miss the next one!